At Ada, we’re dedicated to designing a platform that makes it simple for all skill levels to build and manage an intelligent customer service chatbot. As part of this commitment, we’ve been focused on making it easier for our clients to measure and strengthen their automated support performance using customer feedback. 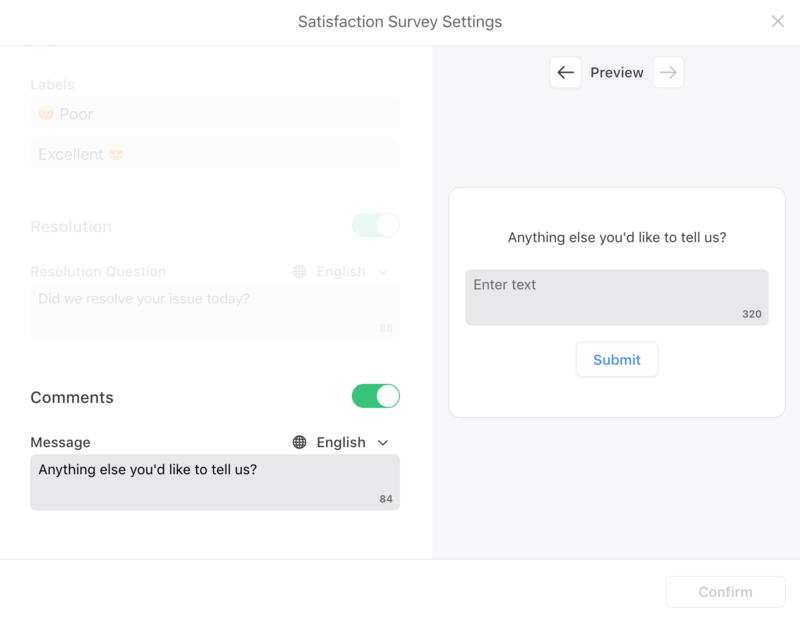 This week, for example, we’ve launched ‘Satisfaction Survey’, a new platform feature that helps our clients create and share a survey directly within the chat. 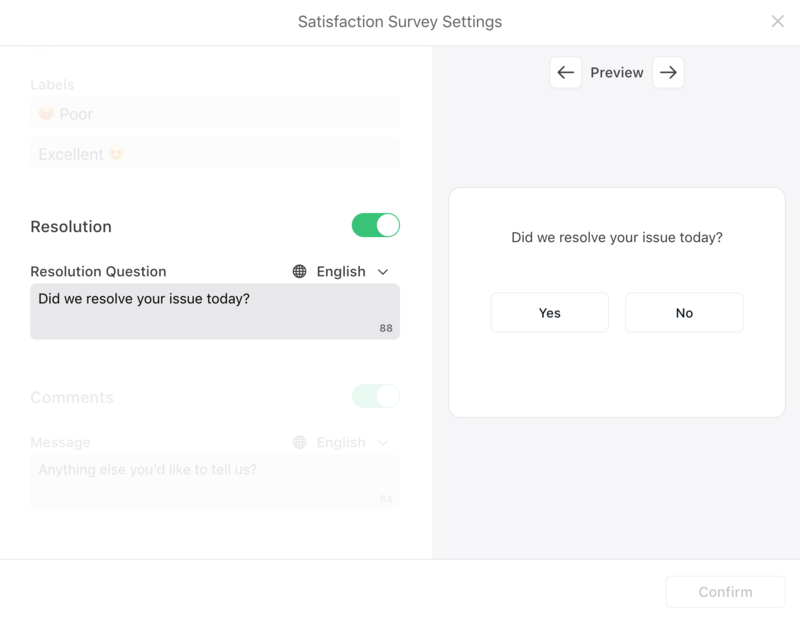 With millions of conversations happening every month, this features allows our clients to instantly gather information about the overall quality of their customers’ experience, and understand whether individual issues and questions are being resolved. 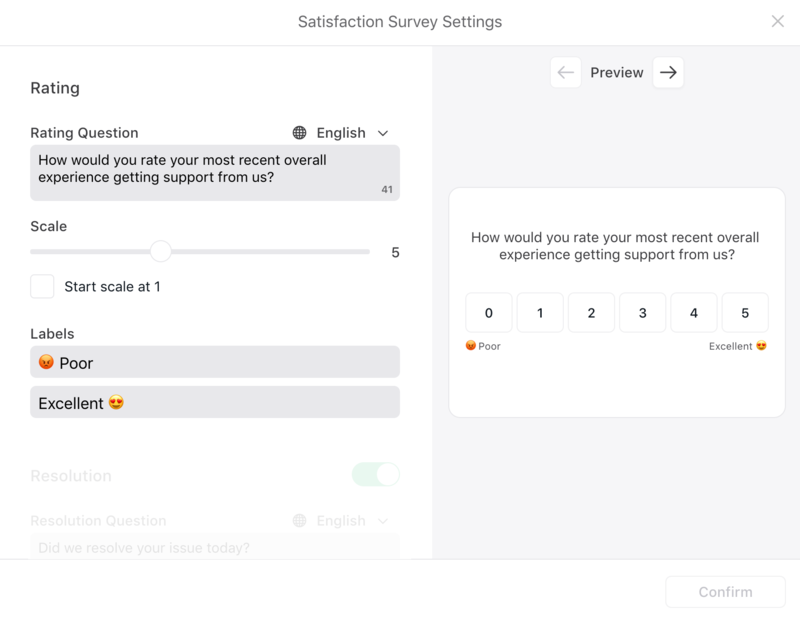 By setting three customizable questions that capture both qualitative and quantitative responses, our clients can set and track chatbot performance metrics based on their unique support standards, like customer satisfaction or net promoter score. Build a scale that lets customers rate the quality of their experience. Determine if a customer’s issue was resolved with a ‘yes/no’ response. Learn more by providing a space for additional feedback. An investment in automation can bring positive impact to a business CSAT and customer retention, and it’s important to truly understand the quality of the experience. Reach out to learn more about Ada with Satisfaction Survey can help your team maintain your high-level, quality support.